A Special Offer - Ideal families with children, near the beach and in the best area. Apartment with all amenities, high speed internet wifi, 3 international TV channels, Netflix, video game console 3 with many games, dvd, bluray, baby cot and travel cot, beach chairs, umbrella and many toys. Nearby pharmacies, restaurants and in front of Club Nautico. House with many details, will make you feel at home. We stayed here (2 Adults + 2 Kids) for 1 week in May 2013, during the chilidrens 1st School Term Holiday. We were very impressed with this apartment and the owner Joesp, he is a real Gentleman very kind and helpful. We had a great time. As previously mentioned the apartment is very clean and comfortable. It is in a great location for access to everything you could need, close to the beach, restaurants, shops, bus and the train station is just a 20 minute walk away. We used the Bus service (get a T10 family pass to save a few Euro's) to visit Port Aventura and used the Train to Barcelona.The beach is lovely and clean. The apartment is packed with everything from Nintendo Wii station to a PC for access to the outside world etc. which kept everyone occupied in the evening. It is a very Spanish area, which for us, is a better area than the commercial district of Salou. We would definetely like to come back here to this apartment in the future. Thank's a lot Josep, we hope to visit you again in the Future. Thank you very much for your kind words and positive comments written on Homeaway. We are delighted to know that you and your family enjoyed a vacation so nice in our home. We wish you much luck and health, and we'll see you in Cambrils. 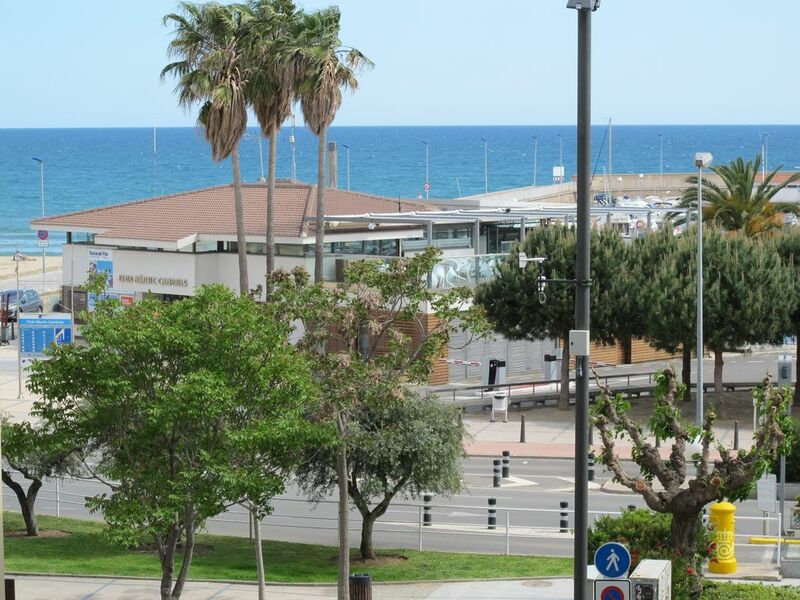 Très bel appartement, très bien situé près du Port de Cambrils, des plages et des rues commerçantes. Très très bien équipé, conforme à l'annonce. Appartement très bien entretenu. Le parking souterrain est à deux pas ( Le prix du garage n'est pas inclus dans le prix de la location), les restaurants et magasins sont proches, La promenade le long des plages et du port est magnifique. Le propriétaire est très sympathique et prêt à rendre service. Nous avons passé un très bon séjour. Après avoir vu le problème de stationnement dans la zone, je contacté le parking de louer un endroit pour mes hôtes. De Octobre 2015, le stationnement est inclus dans le prix. Wir waren Ende Mai mit unseren drei kleinen Kindern für zwei Wochen in dieser perfekt ausgestatteten Unterkunft und können nur sagen: Wir kommen wieder! Die Wohnung ist mehr als liebevoll eingerichtet, sehr gepflegt und mit allen Raffinessen ausgestattet (von Ipad über Spielekonsole bis zum Kinderzimmer inklusive Spielzeug und und allem, was Kinder am Strand benötigen)! Perfekt auch die Lage: Mitten in der charmanten Fußgängerzone von Cambrils und dennoch direkt am Hafen und nahe am ebenfalls gepflegten Strand. Um letzteren zu erreichen, muss man lediglich die Straße überqueren. Unglaublich freundlich und hilfsbereit ist auch der Vermieter! Vielen Dank für diese perfekten 14 Tage! Hemos alquilado el piso en fin de mayo para dos semanas con nuestros hijos, disfrutando de ese apartamento perfecto y en el que de todo que uno desee: Ipad y videoconsola para los aficionados de técnica, juguetes para los niños y para la playa y una cocina en la que hay de todo. Se trata de una vivienda muy limpia, bien cuidada y equipado con cariño. No menos ideal la zona: Situado directamente en el centro con todas las tiendas y boticas al lado, y al mismo tiempo muy cerca del puerto y de la playa, ambos estándo directamente enfrente del piso. Josep ha sido increíblemente amble y dispuesto a ayudar. Gracias para dos semanas perfectas! Vamos a volver! Fue un placer recibirles en Cambrils y que escogieran nuestra casa para disfrutar de sus vacaciones. Sois una familia de valientes, venir de Alemania con 3 niños de tan corta edad merece toda mi admiración. A cualquier propietario, les gusta una familia tan educada y amable, espero tenerles otra vez en casa. House located near the beach. Puerto typical fisherman, zoma very touristy, of renowned restaurants in the Michelin guide. Near Tarragona (World Heritage), Reus, with its modernist routes (Gaudi) and trade. Barcelona 1 hour and the PortAventura theme park 10 minutes. The shuttle to Reus, Barcelona or the Airport, is a 5 minute walk.